They think they do. They know she’s traveling up the ladder at work, earning a promotion last month. They know she’s an extremely loyal friend, and always has time for everyone who needs it. They know she’s fun, ready to go anywhere and do anything. In fact, she’s always going. And doing. Patrick is a lot like Emily. He’s the guy people turn to in a crisis. He’s a more-than-dedicated volunteer in the community, heading up fundraisers and chairing committees. He’s the guy who makes you comfortable by telling a joke or laughing at himself. This is what people don’t know. Emily and Patrick struggle with mental illness. Emily’s father used to tell her how worthless she was, as she tried to stay out of the way of his nightly drunken binges. Her mother still tells her that it wasn’t that bad, and won’t talk about the past. She only sleeps three hours a night, and makes herself throw up in order to maintain some sense of control. Patrick’s mother died when he was very young, and he was told never to speak of her again. Any pictures of his mother disappeared. He was forced to call his new stepmom, who appeared five months later, “Mother.” He watches how others so easily trust, but he cannot seem to relax. The immense pressure he feels to perform govern his every move. There’s no way he can go to sleep, so he pops a Xanax nightly. No one knows that Emily and Patrick are depressed. They themselves may not recognize it for what it is. They keep their pain locked tightly away, hidden behind years of smiling and surviving. I call it Perfectly Hidden Depression (PHD). What would have to happen for Emily or Patrick to seek treatment? 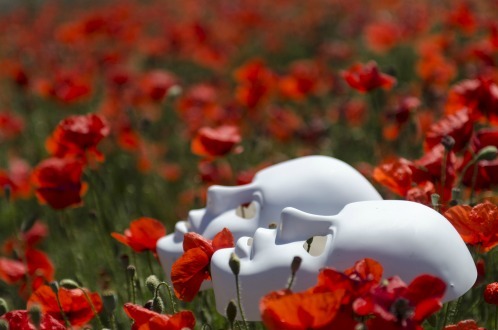 To confront their own fear of revealing who they really are? One woman, Jennifer Marshall, is trying to address just that. She’s begun a nationwide program that features people with mental illness sharing their stories and lives with an audience. She calls it This Is My Brave, and its programs are drawing crowds from large cities to smaller towns. Audiences are hearing and seeing their neighbor, someone they sit by in church, their lawyer, their hairdresser — speak openly about the mental and emotional issues they cope with every day. Whether it’s hearing voices, dealing with mood swings, having the obsession to count everything in fours, germ phobias, or nightmares of past trauma, people with mental illness cope. Their resilience can be phenomenal. Many seek treatment, and manage what, for many, are chronic problems, using medication, therapy, meditation, trauma work, exercise — whatever helps to keep them stable. It’s confronting prejudice right where it lives, and offering education instead. What about those with PHD? They’re not prejudiced about mental illness. No. In fact, they’d likely attend a production, like This Is My Brave, and support the cause. But allowing others into what is their private world? 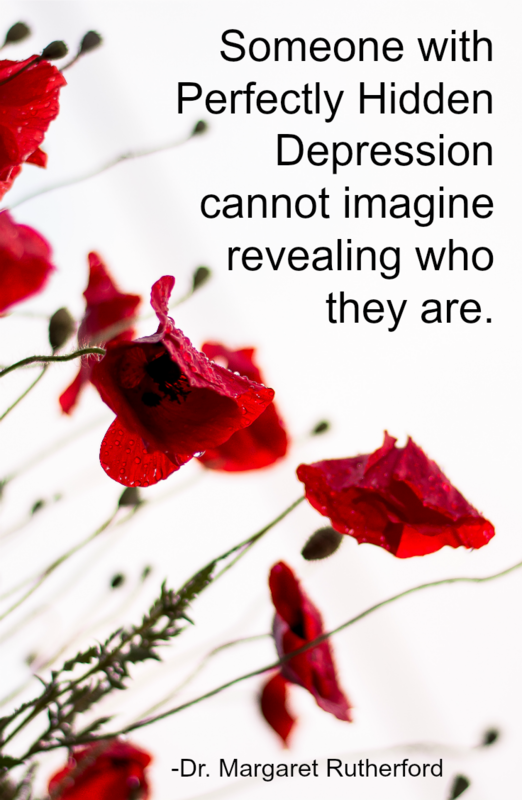 Someone with Perfectly Hidden Depression cannot imagine revealing who they are. Yet the prejudice against mental illness plays a role in their hiding. Stuart Walker’s words, who I interviewed about his own hidden depression, are achingly poignant. The good news is that our culture is changing. There are efforts, like This Is My Brave, to heighten awareness and acceptance of mental illness. Stuart himself has been sought out by many, after this interview, with both men and women opening up to him about their own struggle, and thanking him for his honesty. Toward the end of the interview, I asked Stuart why he had risked revealing what had, up to this point, been his own private knowledge. For all who come forward, who risk experiencing the prejudice that still exists, thank you. For those of you who may still be hiding, who may be carefully maintaining a wall between yourself and whatever pain you know is there, realize there is another way. If you would like to take a questionnaire to see if you identify with PHD, click here.